Annual Provincial Property Assessment notices have been arriving in most mailboxes across the country (timing of delivery varies), giving some homeowners a smile, others a frown. But wait, this assessment is not tied to a current true market value. 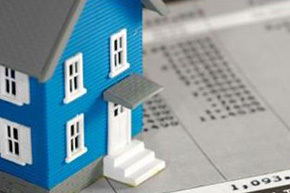 Provincial property assessment values are determined in July of the previous year, in an automated fashion. Considering the time lag alone an assessment should never be solely relied upon as any sort of relevant indicator of true current market value. Not for the purposes of purchase, sale, or financing. Think of the assessed value instead as something akin to a weather forecast, spanning far larger and more diverse areas than the unique ecosystem that is your neighbourhood, your specific street, or your specific property. A weather forecast made the previous July, not the previous week. If you wish to determine a selling price on your own property, enlist a professional. Valuing your own property is not a do-it-yourself project. Consider the expert opinion of your skilled local Realtor.Consider ordering an appraisal for an accurate reflection of current market value. Estimations, and professional appraisals have a limited shelf life, perhaps as little as 4 weeks in fast moving markets. Ultimately market value is determined by what a well-informed buyer is willing to pay for a home, and what a well-informed seller is willing to accept. The key of course is to be well-informed. In closing, please do not rely on your government property assessment for a fair market value of your property. Do not rely entirely on the buyer’s opinion or the seller’s opinion in an unlisted private transaction for a fair market value. Do not rely on your neighbours, friends, or family members opinions for fair market value of a property. Do enlist the services of a professional, start with a call to your local Realtor and speak with somebody who has their head in the game.